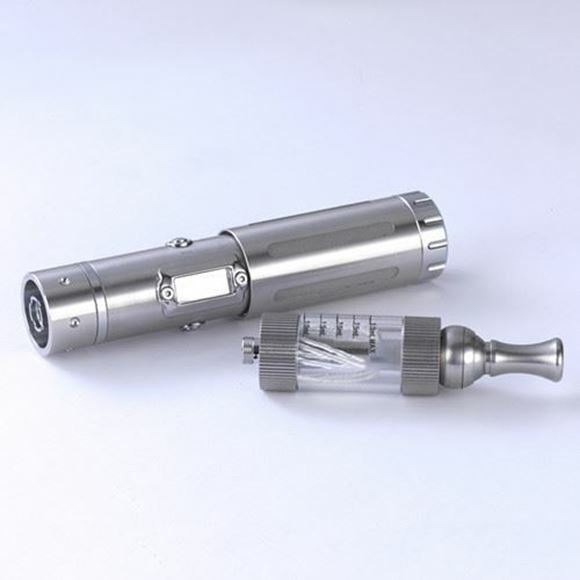 NOTE: This is the all new Model, Full iTaste SVD Kit including 3 x clearomiser, NOT just body. Innokin's Superior Vaping Device (SVD) is just that; packed with plenty of features and finished in stainless steel. iTaste SVD variable voltage mod can operate from 3.3 up to 6.0 volts, and the 3-digit display allows variability in electric current. Wattage can also be adjusted, from 3.0 to 15.0 watts in .5 increments. New Innokin iTaste SVD variable voltage, variable wattage tube style mod offers all the latest technology available on the market today! With a variable voltage range from 3.3 to 6.0V and a variable wattage range from 3 to 15W, there are an abundance of options to customize your throat hit and liquid flavor. What is included in Innokin iTaste SVD Kit? Included in this iTaste SVD kit are not one, but TWO of the popular, high performing iClear 30 clearomizers - a match made in heaven! Utilizes 18350, 18500 or 18650 batteries in this tube style mod. The stainless steel body is strong and durable and adjustment buttons make this mod easy to use as well. With a digital display menu, it's easier than ever to view ohms, volts /watts , and atomizer voltage output. The ON/OFF button protects you from accidental activation while in your purse or pocket. It just keeps getting better & better!!! *Batteries not included, we highly recomended our 18350 and 18650 batterys with this mod.